Motorola has just announced its new flagship smartphone Moto Z, which comes with different Moto Mods. Moto Mods are external modules that can be attached with the Moto Z. We are already aware of the concepts of external modules like external battery pouches, but all of the previous external modules lacked design and shape. Motorola has made external modules for its new flagship and is naming these modules as Moto Mods. These Moto Mods come in exciting, sleek design. At the moment, Motorola has announced four Moto modes which include JBL sound boost speaker, Incipio Off-Grid Power Pack, Moto Insta-share Projector and style swap cover. These mods are very simple to connect as there are magnets on the back of the Moto Z where the mods snap into place. 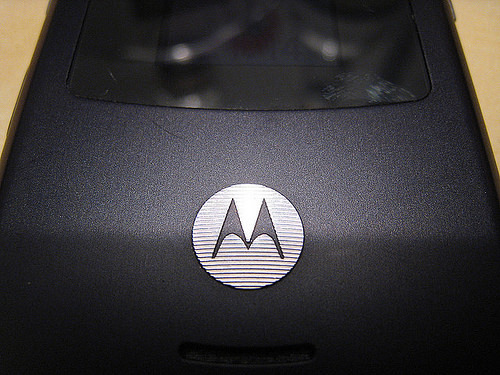 Motorola has announced continued compatibility for future smartphones and has opened the process for developers. Motorola is offering a cash prize for the one who gives the best idea for future mods. Although smartphones have built-in projector were not successful but still;, it was a good feature to have on a smartphone. Motorola has taken this statement into account and has created a projector module for Moto Z. Moto insta-share projector is an exciting mod which has an internal battery for projecting. Although the battery life is limited to one hour only but still it a must have feature if you are a fan of movies. This mod also comes with a kickstand and features a 70-inch field of view. As we know that this concept is not new but the way Motorola has reinvented it is amazing. This mod is very useful as it adds 22-hour battery life to Moto Z. This mod also adds wireless charging feature to Moto Z. Though the style of this Mod is bulky but still it is not ugly like other battery cases. This is the most exciting Mod in all the Mods that have been announced. This Mod enables the Moto Z to connect to a powerful speaker. The speaker is very powerful and turns the mobile into a huge speaker. I personally tested the speaker, and the results were amazing. I could clearly hear the sound of this speaker in a well-crowded area. The most amazing part is that this speaker mod comes with a built-in battery which can provide 10-hour battery back-up for the speaker. The battery can also be charged even when it is connected with the Moto Z. These are actually the replaceable back covers which will be available in different colors and designs. The shells will also be available in real wood and leather coverings. This can provide an extraordinary look for the Moto Z. Not only this, Motorola has announced that it is trying to add more mods for the smartphones and hopefully future Moto Z family will be equipped with more exciting and new Mods. Aside from the Mods, Motorola Moto Z is equipped with several different features such as 5.5 inches qHD AMOLED display and a 4GB Ram. Moto Z also features a Qualcomm Snapdragon 820 processor chipset for a more realistic experience. Moto Z comes with a 13MP rear camera and 5mp front camera with wide-angle lens for better picture experience. Moto Z has an internal memory of 32/64 GB, which can be extended by adding Micro SD card of up to 2TB. Moto Z also has a long battery life of up to 30 hours with extreme use.